Last week Valve confirmed that their planned Steam Link app for iOS had its approval revoked by Apple, citing "business conflicts with app guidelines". Valve's Steam App is designed to allow Steam users to stream gameplay to iOS devices like iPhones, iPads and Apple TVs when using strong WiFi or Ethernet on the user's local network. Over the weekend Apple's Phil Schiller responded the Apple users who were angered by Valve's announcement, shedding some light on why Apple revoked their approval for Valve's app. Schiller stated that Apple would "continue to work with them to help bring the Steam experience to iOS and AppleTV in a way that complies with the store’s guidelines". Below is Phil Schiller's full email statement. Unfortunately, the review team found that Valve’s Steam iOS app, as currently submitted, violates a number of guidelines around user-generated content, in-app purchases, content codes, etc. We’ve discussed these issues with Valve and will continue to work with them to help bring the Steam experience to iOS and AppleTV in a way that complies with the store’s guidelines. Apple has stated that Valve's applications violated some app store's guidelines, including rules for in-app purchases and content codes, though at this time it is unknown how Valve has broken these rules. 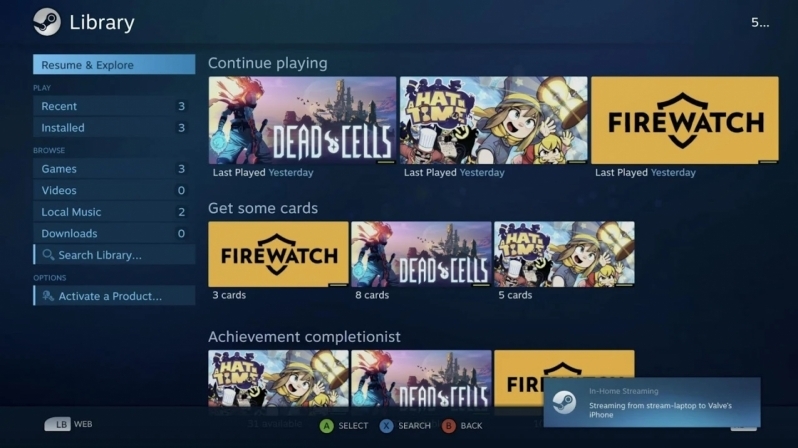 If Apple and Valve are both willing to co-operate it is likely that Steam Link will eventually come to iOS, though it is unknown whether or not this will involve compromising the app's functionality in some way. You can join the discussion on Apple's claim that Valve violated several app store guidelines with their Steam Link App on the OC3D Forums.